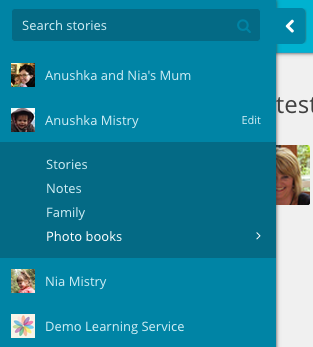 If you are a family admin you can edit a child’s details on the child’s profile page. 1. Click your child's name in the menu. 2. Click the 'edit' link to the right of their name. 3. Edit the text fields you wish to change. 3. At the bottom of the 'edit child' form you will see a 'Delete from Storypark' section. 4. To remove the child, click the 'Delete this child' button. Be careful because once a child is deleted, there is no going back – stories and notes will be permanently removed.